As soon as you feel that slight chill in the morning air, you know what it means: it’s time to start dreaming of apple orchards, pumpkin patches, and falling leaves. We’ve pulled together some of our favorite things to do in September, October, and November in Irving, so get the flannel out of the closet, grab a pumpkin spice latte, and head out to some fall events in Irving, TX! Nothing says fall quite like a proper Oktoberfest celebration. Thankfully, Bar Louie at the Toyota Music Factory is hosting an all-day Oktoberfest Kick-Off on Saturday, September 22. Drink specials on Samuel Adams and Angry Orchard drafts, half-price Bavarian flatbread and Bavarian pretzels, and a stein hoisting competition all make for a promising way to get fall started. Grab your friends and make a day of it. For more fall inspiration, attend Fun Fall Events with Travel Writer Michelle Ames on Monday, September 24. During this informational session, Ames will share some tips to exploring Irving and beyond during the autumn. From apples, pumpkins, and falling leaves to haunted houses and ghost towns, Ames will provide you with plenty of autumn travel ideas for the North Texas area. One of the best ways to relish the fall season is to bring some of nature’s beauty indoors. What better way to do this than with flowers? Mark your calendar for a special Flower Arranging Party taking place at Persona Pizza on Thursday, September 27. Here, you will learn how to create impressive fall arrangements that will wow your friends and family. Whether you want to spruce up your own home or give the gift of fall to others, you’ll leave this party with all the skills you need. The ticket price is $65 and includes florist quality flowers, supplies, equipment, and instruction. The return of cooler weather brings with it the return of the Irving Concert Series. Visit the Whistlestop Plaza on October 5, 12, and 19 for free live music starting at 7 p.m. Bring a blanket and a chair and grab a bite to eat from the food trucks while you take in music spanning the decades and genres with the whole family. Teens in grades 6-12 can get a jumpstart on Halloween with a scary fun party at the West Irving Library on Saturday, October 6. The Teen Halloween Bash will feature pumpkin carving, Fear Factor challenges, a screening of “Hocus Pocus,” and, of course, candy. Indulge your taste for the finer things in life—or get some inspiration for your #goals—at the Park Place Luxury & Supercar Showcase. On Saturday, October 13, the Four Seasons Resort and Club Dallas at Las Colinas will host the event combining high-end automobiles with luxury lifestyle elements like designer fashion, gourmet foods, and first-rate music. The ticketed event benefits the Momentous Institute, which is dedicated to committed to building and repairing social emotional health for all children. Adults can dress up and party incognito at the Halloween Throwback Extravaganza and Costume Party hosted by Avocado Lounge and Restaurant on Tuesday, October 30. Get your best costume ready, because prizes will be awarded to the top costumes. Food, drinks, and music will round out the event. 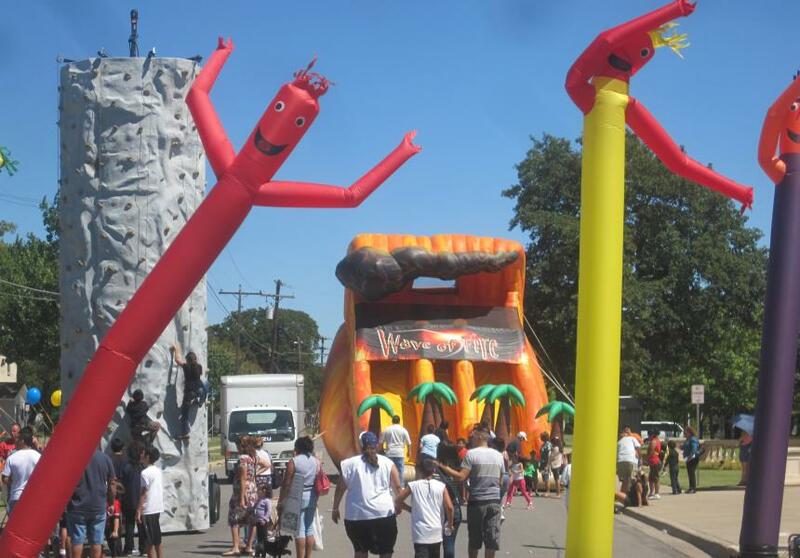 Walk off your Thanksgiving meal at the Dallas Fantasy Fair taking place just after the holiday November 24-25 at the Irving Convention Center at Las Colinas. It’s the place to meet the actors, directors, writers, and creators of your favorite fantasy and science-fiction franchises as they gather to celebrate comic books and their place in pop culture. Along with meet and greet opportunities and talks, visitors will have the chance to score unique collectables and memorabilia.